Flamingo Air’s Worker Bee Drone Training Program educates and trains drone operators on how to professionally, safely and responsibly operate in the National Aerospace System, and be sure that all FAA laws, regulations and safety standards are met.  Worker Bee offers 3 types of Drone training courses.  This course is 2 days and includes actual Drone flight training. Registration in FAA IACRA and completion of Form 8710-13 at the FAA IACRA Website. The required FAA Aeronautical Knowledge Test. This test must be taken at the Flamingo Air Test Center. If you are a FAA Certified Remote Pilot with a UAS rating, you must renew that certificate every 2 years. If your certificate is expired, you cannot exercise your commercial privileges as a UAS pilot. This class includes any new changes to the FAA UAS regulations as well as updates the material that is on the recurrent test. This 4-hour class includes the $150.00 cost of the UGR – FAA Recurrent class. Whether you are a beginner just starting off or an advanced operator looking to become an entrepreneur, these courses are for you. – Tim Marshall, Director of Drone Training. As more drones are operated in the National Airspace, it is important for all operators to abide by FAA regulations. Worker Bee is the leader for Law Enforcement training to ensure that all FAA Regulations are obeyed and the safety of the general public is protected. I went through the training program before the FAA test was released on August 29, 2016. The training was thorough, and although the class time, in and of itself, would not be enough to pass the exam, it did give me all of the tools and direction needed to study in order to pass the test on the first go around. Be prepared for a difficult exam, and remember that you need to retain this information for safe flying and re-certification every two years. Tim and the team were knowledgeable and helpful how to navigate the pain in the back procedures to get your license and to get your drone correctly registered.  I would highly recommend the school for anyone seeking a commercial license to fly a drone for a living or even for a real estate agent looking to improve the marketing of their properties. The investment was well worth the money, and it will move your career forward for a small expense. In 2016, the FAA issued Part 107 Drone Operations Regulations. The FAA now requires an aeronautical knowledge test for those people who do not hold an FAA Pilot Certificate. For recent regulations and guidelines, and the latest aviation news and updates, visit the Federal Aviation Administration. Enter your full name in this blank to sign. All tuition and fees are Non-refundable. Flight Training, dispatch training and the Drone Training Program are highly technical, require resources that must be provided for you and are valuable on the open market. You will receive the best training possible. The class space, technical resources and personnel will be dedicated to serving and training you and the other students.  Therefore, as stated above attend your training as scheduled or reschedule with permission of the Flamingo Air Academy, because your tuition and fees will not be refunded. Enter the date you are signing this contract. Usually, that would be today's date. All sales are Non-Refundable.